Transform a north facing patio or windowbox into a splash of color with these 5 shade plants. Follow tips on how and when to plant and enjoy a luscious little garden. Creating a garden in a small space can be easy, even if it is north facing. The smallest patio, balcony or window sill can be transformed into a living display of color and shapes regardless of which direction it faces. 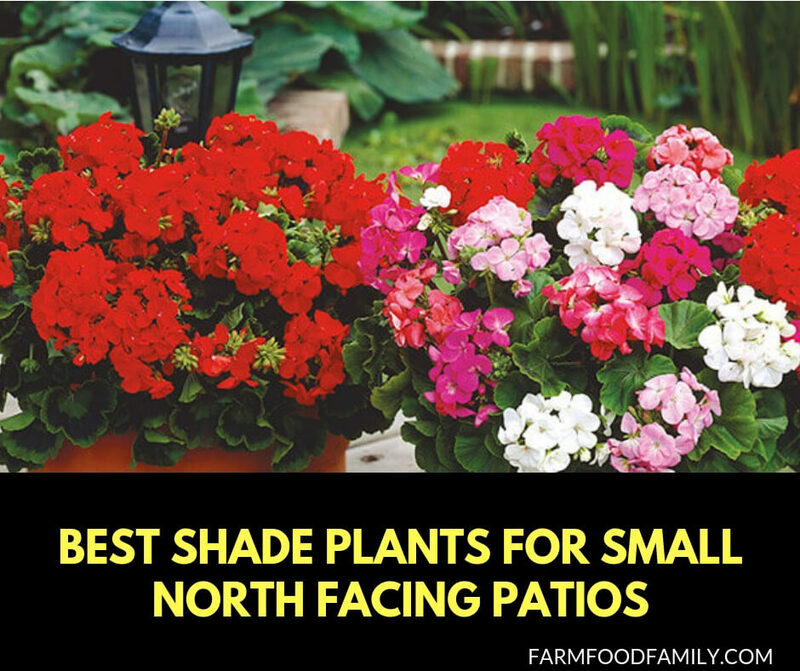 For people living in the northern hemisphere, north facing areas may receive the least light, however there are several shade plants which will do well without a great deal of effort. Don’t disregard old favorites, such as roses, some of which do well in shade areas. In small spaces, plants will usually be in a container and this type of gardening has special requirements which are not difficult. Apart from shade, the wind is the main consideration as pots will dry out very quickly and strong winds can damage plants. Think about creating some shelter with windbreaks or canopies to protect the plants. Plants climbing up a bare wall can make a colorful change to any space, and need to have a secure trellis or wire structure to grow along. Ivy is a great evergreen climbing plant with colors ranging through various shades of green to silver and variegated. Choose the darker colored ivy for north facing patios and consider mixing varieties for interest. Grow up a trellis for a traditional look, or over a wire frame. Look for shapes in the garden center, or make your own. Ivy also does well with mixed planting in a large hanging basket where it can trail downwards. For trellis climbing, plant in the spring in large containers of at least 3 gallons, to provide enough space for growing and watering. Arum lilies with their elegant faintly scented white flowers and spear shaped leaves will grow in any container and look wonderful in a tall metal bucket. Plant the bulbs in the autumn and they can grow as tall as 20 inches in a large container. Alternatively buy young arum lilies in the spring and group them together for effect. Pansies are hardy annuals that will give a fantastic display in any sort of container or window box. Try planting in something like a small wooden wheel-barrow on a patio, or combine with the ivy in the hanging basket. Plant in the fall or spring and they will grow up to 8 inches tall. There are so many varieties and colors, so choose wisely to avoid a chaotic result! Go for groups of pansies in the same colors or similar shades. Deadhead regularly to encourage new blooms. Ferns grow surprisingly well in many different situations and grow best when settled between April and October. In a shady area be sure that the container is well drained as ferns have fine roots which struggle if the soil is too wet and muddy. Ferns do not like wind or movement, so plant the fern in a sheltered place and water once or twice a week in the dry season. Geraniums are hardy and will tolerate shady areas. Most varieties can be planted all year round in containers or windowboxes and will produce a delightful spring and early summer splash of color. For something different, look for the pink Sirak variety of gernaiums with large flowers that bloom throughout the summer. Again, in small spaces, beautiful geranium flowers of the same color look better than a mixture of several different shades.